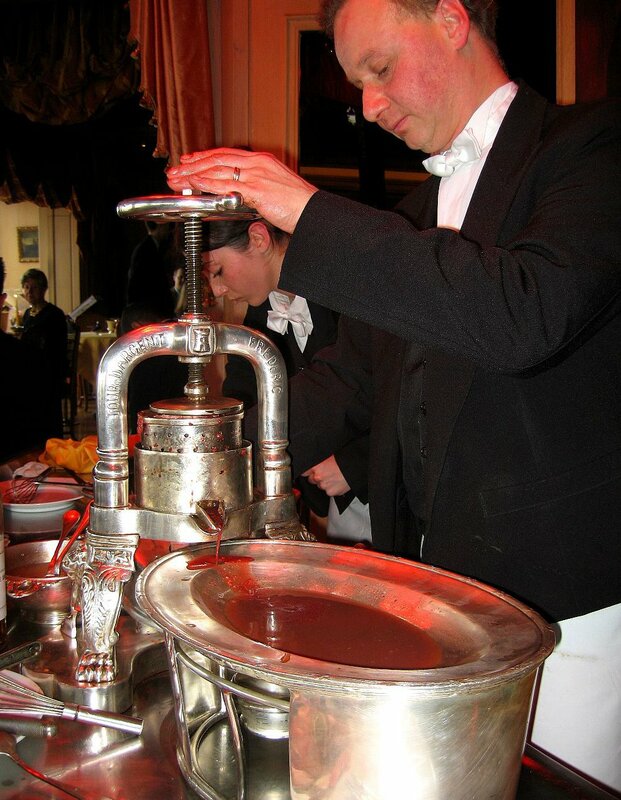 The duck press was invented in France during the 1800s by a chef called Mechenet to make what is one of the most extravagant and macabre dishes ever created: Caneton de Rouen à la Presse, also known as Duck in Blood Sauce. It was popularised by Chef Frèdèric who was head chef at the famous restaurant La Tour d’Argent where it became the signature dish. It is reckoned over a million were served there. What is particularly impressive is that the dish was made at the table in front of the guests. The dish became very popular in Britain during that famously excessive (and thankfully brief) period of history, the Edwardian Era. London’s high society went to huge efforts to appear sophisticated; French cuisine has always been associated with sophistication and the dish Caneton de Rouen à la Presse was one of the best. 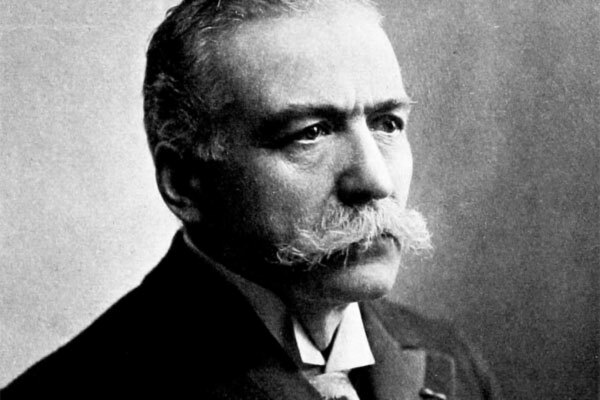 The Savoy in the 1900s, which then had the formidable chef Escoffier at the helm, regularly served it. 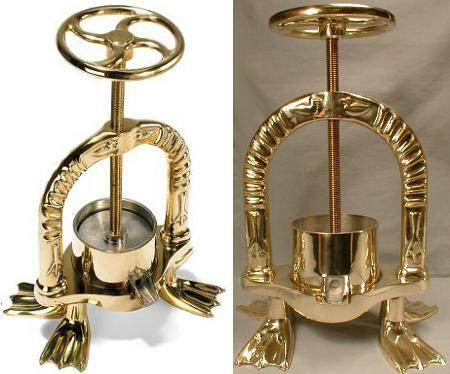 To make the dish you first of all need a duck press which a large metal press usually made of bronze. It contains a spout low down on the press itself so that the blood and bone marrow can be collected easily and it stands on two our four heavy feet so that the whole thing remains stable; you don’t want to cover some count in blood goo unless you can really help it. Some of them have webbed duck feet. If you want to buy a duck press though it will set you back around £1000. Once you have procured your press you need to prepare your duck. The best for this recipe would be a Rouen duckling, but a mallard would be a good substitute. First of all kill your duck by strangulation so that the blood remains inside the tissues than pluck it. Next day remove the innards, keeping aside the heart and liver, and roast it on the very highest setting on the oven for 15 to 20 minutes. Liquidise the bird’s liver and heart. This is the point where the press and the duck are wheeled to the dining table for the guests to watch. Remove the legs and set them aside for later, then remove the breast meat cutting it thinly and keeping it warm and covered on a serving dish with a cloche. Push and shove the carcass in the press to extract the blood and bone marrow from the bird, collecting it in a jug placed beneath the spout. Make a sauce by gently warming the blood with the liquidised liver, some duck or veal stock and some brandy or cognac. Lastly, whisk in a good knob of butter to thicken the sauce and make it glossy. Pour the sauce over the sliced duck breast. Serve with a green salad. The legs are usually taken away and grilled to be served up during the next course. So there you have it; a simple and affordable family meal. I have to say, I am a lover of rare meats and I don’t find this sort of food scary at all and it is being served in some restaurants today. If I make my millions, I’ll buy a press and get you all round for dinner. I found this YouTube video of one being used, but if you’re squeamish, you’re best not looking, I’d say. For more duck history and recipes, click upon this very link.